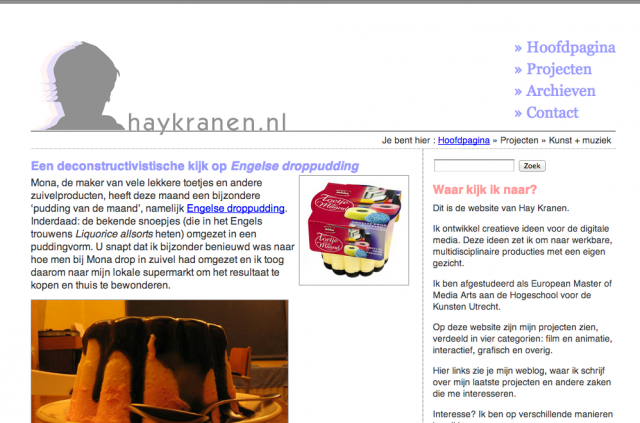 The last big redesign of this website was released on january 1st 2007. Quite a long time ago, considering Facebook was still in its infancy, people surfed with Internet Explorer 6 and the iPhone wasn’t released yet (that happened nine days later). So, what kept me from redesigning this site? I guess a lack of time, or interest, or both. I’ve started work on this new redesign somewhere in autumn 2011, and the files on my laptop tell me i’ve been thinking about a new design since at least summer 2010. For this new design i decided to go with the mobile first approach: focus on the most important stuff first, make that as nice and simple as possible, than go for fancy bells and whistles. Try viewing this website on your phone or tablet, it will look pretty nice as well. I’ve switched to English for the main pages and navigation. I’ve tried a multi-language approach for the old site and failed. 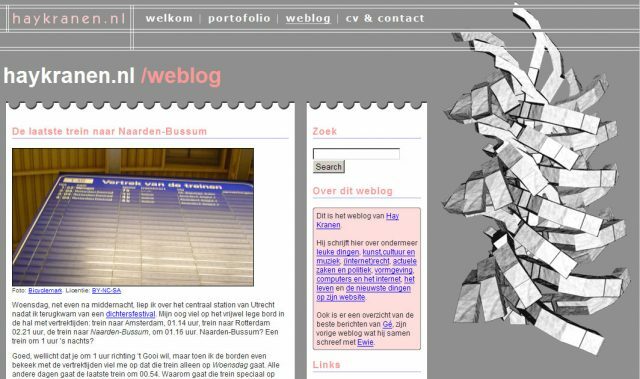 I’ll still be blogging in Dutch from time to time, but i won’t be bothered by trying to invent some way to make the common interface elements available in both languages. I’m interested to hear what you think about this redesign. Are you missing anything? Things you don’t like? Please let me know in the comments.